Straightening an Epic Cosplay wig is quick and easy! Watch our video tutorial to see how to use water and a flat iron to restyle your wig! Step 1: Section out hair from the wig to straighten. Step 2: Spray the section with water. Step 3: Use a flat iron on a low heat setting on the wet section of wig fiber. Go over the section several times until straight. Seeing steam is normal. Step 4: Allow the fiber to cool before combing. Step 5: Repeat process to straighten the entire wig if desired. Please note: This process only works on heat resistant wigs like those from Epic Cosplay. Not all wigs are heat stylable. 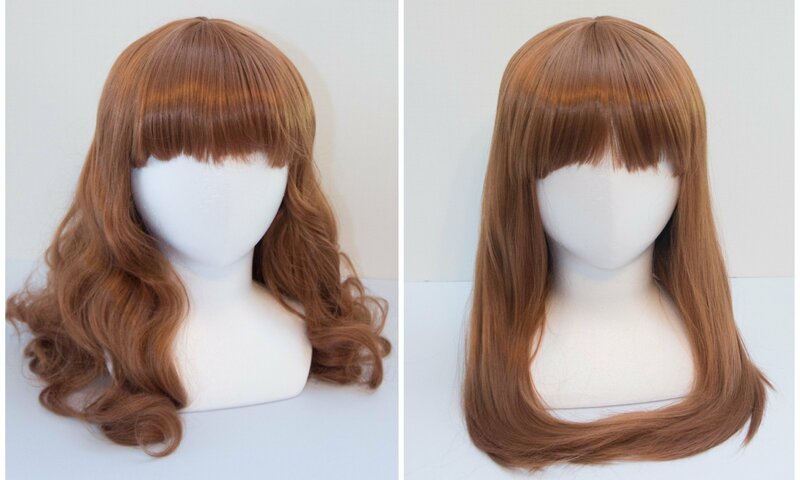 Our wigs can handle heat up to 410F and are safe to use with most heat styling tools on a low/mid setting. Previous PostPrevious New Wig Style: Introducing Helen! Next PostNext Making Pigtails with a Hestia!